Law Offices of Oxfeld Cohen, P.C. At Oxfeld Cohen PC, we specialize in all aspects of Labor Law, Employment Law and Workers’ Compensation Law. Located in downtown Newark, New Jersey, we are easily accessible by car or public transportation. We are proud to serve clients throughout the state, as well as New York and parts of the Northeast. We have over 100 years of collective experience. When you hire us, you are hiring a compassionate but aggressive firm that cares about what happens to each and every one of our clients. Let our experience help you. 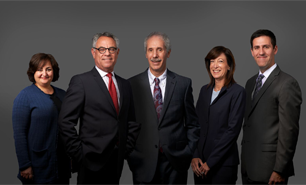 Visit our Attorneys page to learn more about the extensive experience our attorneys have in labor, employment and workers’ compensation law. We invite you to visit our Areas of Practice pages to learn more about the specifics.